The next cold winter is coming soon! There are much better things to do than sit at home and freeze! 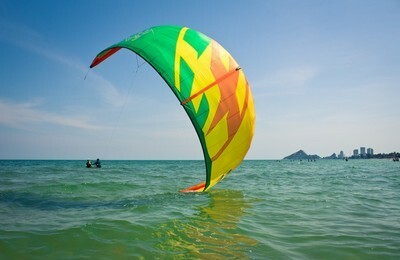 Come over to Thailand, enjoy the sun and have some fun! The first Wakeboard Spot in Thailand, since 1999! “The place to ride & chill” !!! This tropical Resort is located directly on the lake side amongst beautiful nature. Away from all the hustle and bustle of the outside world it is a kind of get-away-from-it-all place, relaxing and laid back to recharge the batteries! The Thailand Wake Board Camp is specialized in wakeboard. Riders come and stay for up to a month, enjoying the relaxed atmosphere and professional care. Multilingual pro riders provide excellent coaching. But be careful! Its not just a business it’s a lifestyle! The biggest Wakeboard Lake in Thailand (11 kms long), with no other boats! We can propose you 6 bungalows situated in beautiful surroundings on the edge of the lake. Staggering views, sunsets and the smell of Thai infused western food floating across the camp. The accommodation is a log cabin rustic Thai’ style which creates the most chilled out beautiful vibe across the camp from sunrise to sunset and onward. Watch the sun dip across the lake whilst we cook up barbecue al fresco. king sized four poster beds. On site we have a restaurant providing breakfast, lunch and dinner, drinks and snacks. Also we have hotels close by to the resort which can be another option but we do recommend to stay on the lake to get the most out of in site vibe. The camp is linked by a inviting series of walkways which join up the sociable, friendly personal nature of the camp. If your lucky you might even be able to wakeboard from your bungalow, when the water is high. Sarah Janes Talent for just knowing how to make your stay enjoyable, designing menus to give you a true taste of Thailand with being your guide to Thailand culture. Par Chambella “Chef” You can travel all of Thailand to never experiencing such exquisite tasty Thai food. Always fresh daily with natural ingredients. Mac The person you first set eyes on bouncing up and down when your at the airport exit gate. Your reliable taxi service to your dream experience. Beginner to expert, you will enjoy new ways of maximising the loading of the line consistently. Waterskiing : On our nice chilled out camp you can enjoy all the delights of being in Thailand, wake-boarding into the sunset and be coached by one of the very best coaches in the business. Our coaches will bring up to speed in no time and hone the skills if your a semi-pro. Wakeskating : In alll our coaching progams we promote the teaching of wakeskating as a very versatile sport that with the correct technique generates a lot of fun. Core balance, once mastered improves your wakeboarding style dramatically. Spins that can be learnt in a day give a valuable insight into handling and control. Your time at the Resort just gets better and better. Thailand: The Kingdom of Thailand draws more visitors than any other country in southeast Asia with its irresistible combination of breathtaking natural beauty, inspiring temples, renowned hospitality, robust cuisine and ruins of fabulous ancient kingdoms. Few countries are so well endowed. Rayong Province: Located approximately 220 kilometers from Bangkok is another delightful resort on Thailand’s eastern coast – Rayong province. A late bloomer, the province is well known for its pristine beaches stretching along a 100-kilometer coastline and scenic waterfalls amidst exotic surroundings. Aside from this, Rayong is blessed with an abundance of seafood products such as shrimp paste, fish sauce and dried seafood, and tropical fruits of which rambutan, mangosteen and durian are the most famous. Climate: Thailand enjoys a tropical climate with three distinct seasons-hot and dry from February to May (average temperature 34 degrees Celsius and 75% humidity); rainy with plenty of sunshine from June to October (average day temperature 29 degrees Celsius and 87% humidity); and cool from November to January (temperatures range from 32 degrees Celsius to below 20 degrees Celsius with a drop in humidity). Much lower temperatures are experienced in the North and Northeast during nighttime. The South has a tropical rainforest climate with temperatures averaging 28 degrees Celsius almost all year round. Population: Thais are well-known for their friendliness and hospitality. A large majority of over 62 million citizens of Thailand are ethic Thai, along with strong communities whose ethnic origins lie in China, India and elsewhere. About 7 million people reside in the capital city of Bangkok. People: Thai (80%), Chinese (10%), Malay (3%), and the rest are minorities (Mons, Khmers, hill tribes) Ethnic Thais form the majority, though the area has historically been a migratory crossroads, and has thus produced a degree of ethnic diversity. Integration is such, however, that culturally and socially there is enormous unity. Language: Spoken and written Thai is largely incomprehensible to the casual visitor. However, English is widely understood, particularly in Bangkok where it is almost the major commercial language. English and some European Languages are spoken in most hotels, shops and restaurants in major tourist destinations, and Thai-English road and street signs are found nationwide. The Thailand Wake Board Camp’s VIP minibus can collect you directly at the Airport. Watch a video or listen to music while you travel. Visa: As a general rule, any foreigner seeking entry into the Kingdom of Thailand for business, investment, study, medical treatment, mass media, religion, employment and other purposes is required to apply for a visa from a Thai Embassy or Consulate-General. To do so, a foreigner must possess a valid passport or travel document that is recognized by the Royal Thai Government and comply with the conditions set forth in the Immigration Act B.E.2522 (1979) and its related provisions. + 90 minuties exclusive use of the boat a day and coach. Thanks for a fantastic holiday A once in a life time experience, its great to be able to relate to your surroundings & great friends. I can now understand why you travel so far from Englands heaven, Devon. But don't ever forget the way back! Love to you all and good luck with the dream Grandad John"
"While the resort is in a Beautiful Location, is Pure Thailand in the ambience, Deen & Sarah make the experience fabulous. The genuine hospitality an the quality of the professional instruction makes Wakeboarding Thailand a very special experience. Par's cooking is to die for The Shangri la of Thailand without a doubt. " "Thank you for a fantastic experience, great wakeboarding on glass like waters and excellent food. This was the most fantastic place to stay despite the frog's partying all night. Love from Lena & Rolf PS we are coming back very soon"